If you follow me on Instagram, you may have noticed at some point every stpring, my feed gets taken over by baby hummingbirds! 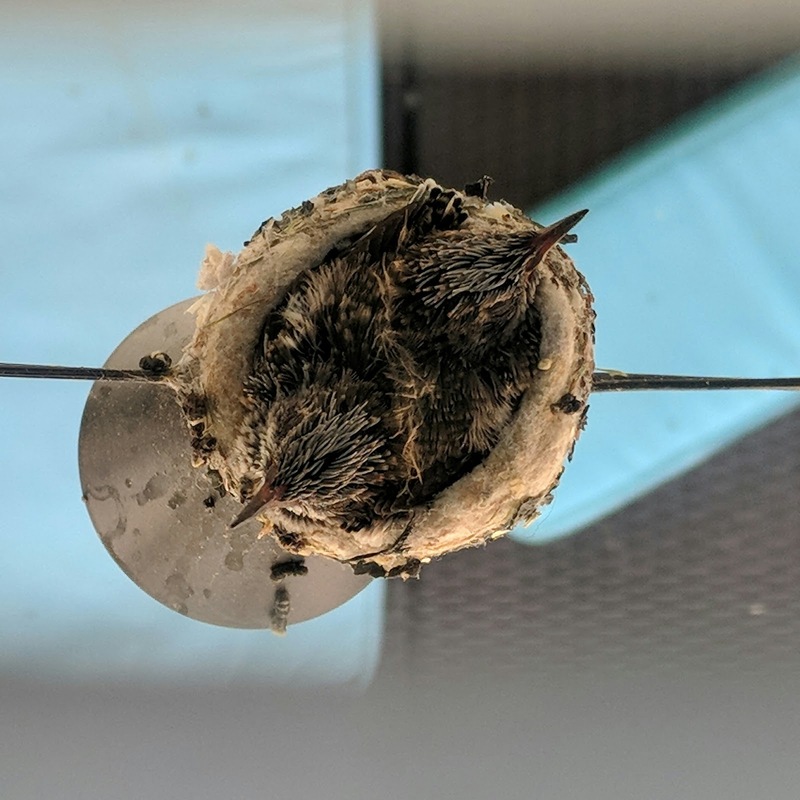 I wanted to capture all the pictures in one blog post, to better see how quickly these cute little birds grow up. In a few months, they'll be doing it again! First, some stage setting - the picture below shows where the nest is. 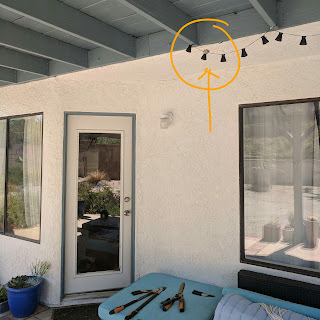 For the last few years, hummingbirds have built a nest on my string lights, above my patio couch, right by the patio door, and under the 2nd story deck. Most of the pictures i take are from above, through the cracks in the deck. The birds don't seem to notice. 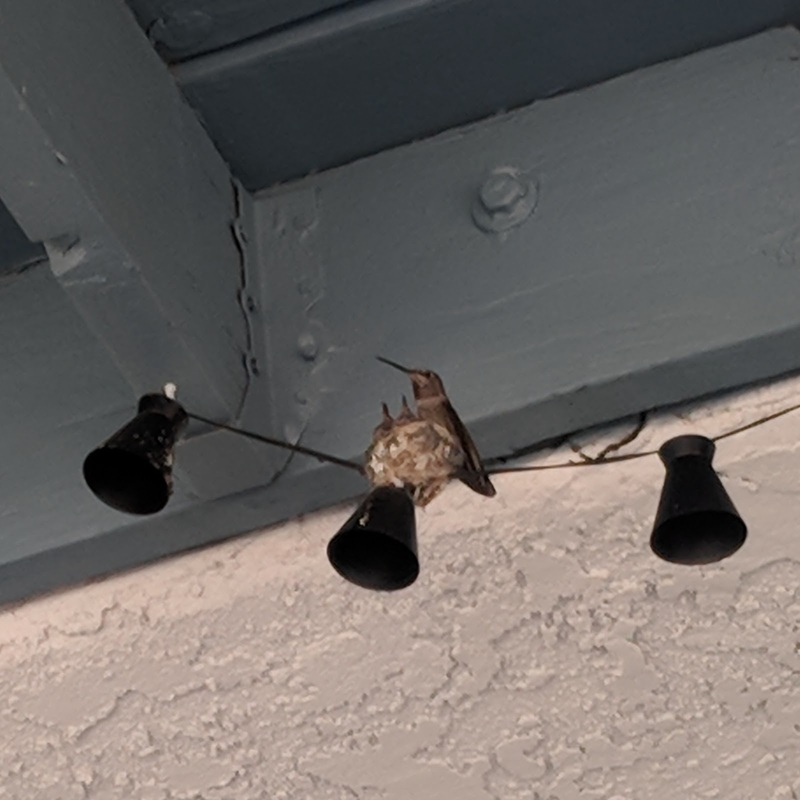 The house got painted in Spring 2018, so i was very worried that the hummingbirds wouldn't come back. But on 28 April - there were eggs! 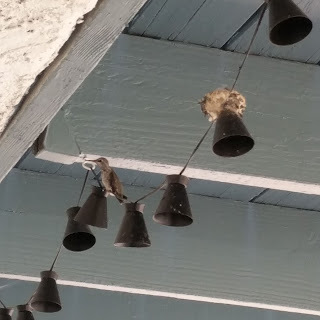 momma hummingbird making sure the next was good! Hummingbird parents do not approve of taking pictures from the patio - i got buzzed right after this picture. The couch & patio are basically unusable while the babies are in the nest. their beaks grow so much! 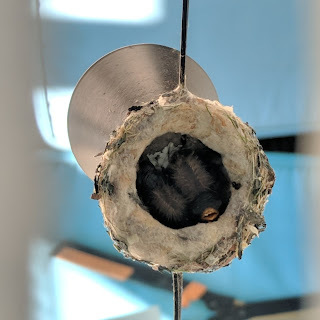 This was also the time when the babies started to test their wings - which makes them sound like angry bees. 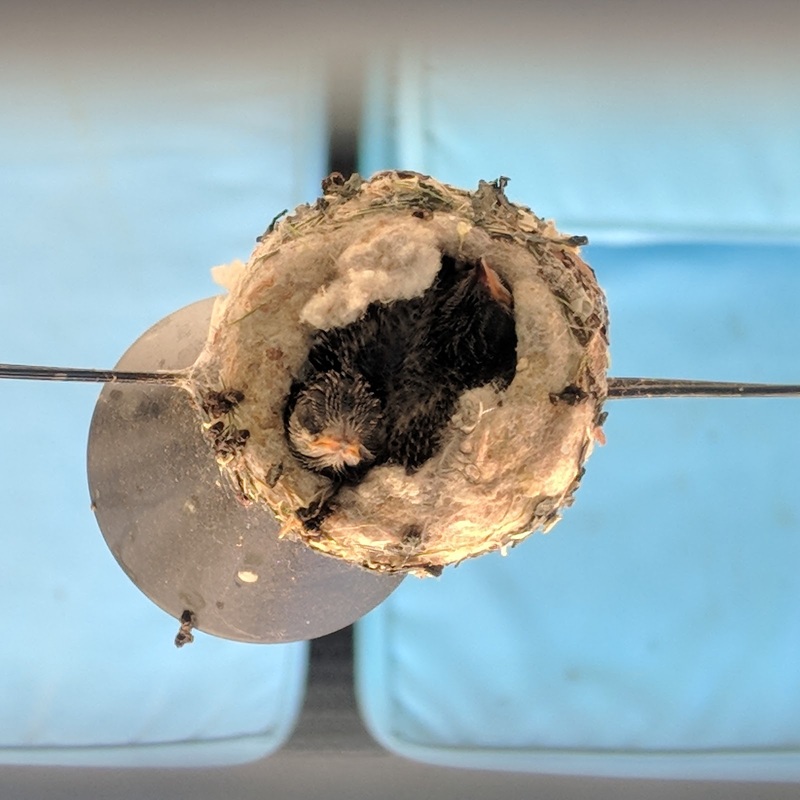 By 2 June, they were ready to leave the nest! The first thing i did after the nestlings flew away was clean off the patio couch cushions and window - it's nice having my patio back! But i'm happy to share it again next year, so here's to hoping they come back again! Great sequence of photos; they are all so territorial over flowers, too. I look forward to having hummingbirds soon. 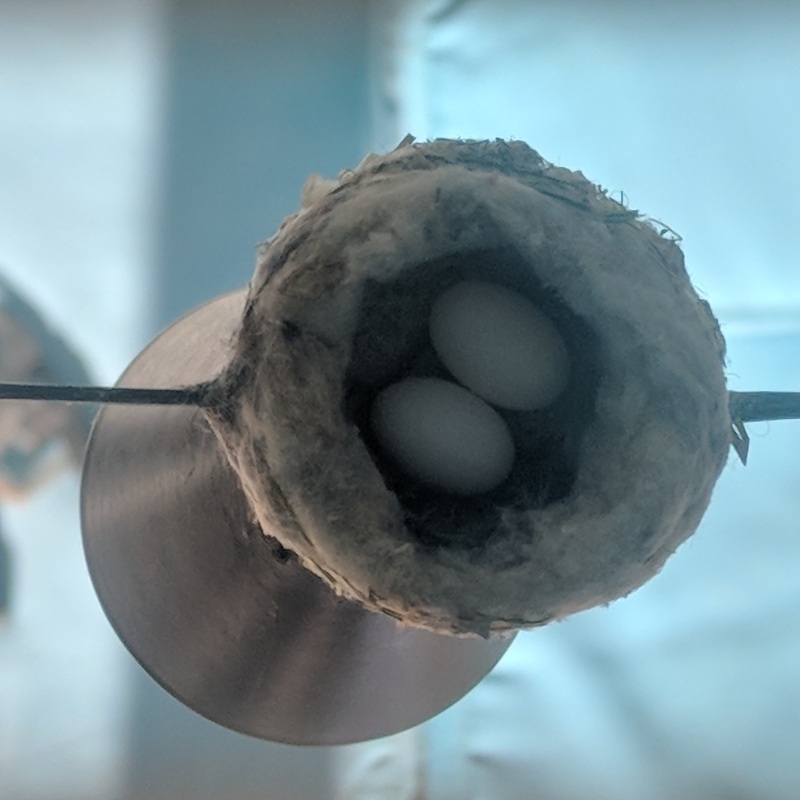 I hope they come nest at your new place! You probably have them year round also? These photos are wonderful, Renee! Although I have resident hummingbirds, I've had very little success photographing them, especially since I stopped filling the feeder outside the kitchen window. I've only seen one nest and that was at our former house. Attached to a branch of bougainvillea, it swung wildly every time our garage door opened and was soon abandoned (before eggs were laid). My brother photographs hummingbirds regularly (and claims to recognize individual birds by sight) - he contends I just need more patience to get photos. I totally can't photograph them when they are flying (or at least not well...) but sneaking up on them from above is a lot easier! I wonder why they sometimes pick such odd places for their nests? There was definitely a nest in our back garden last year but I never did find it, I did get to see a parent feeding a baby on a branch right by the window though, that was pretty cool. I hope yours come back so we can see more photos! That's awesome! i hope they come back too. So far, all i see is annoyed looking birds puffed up against the rain. 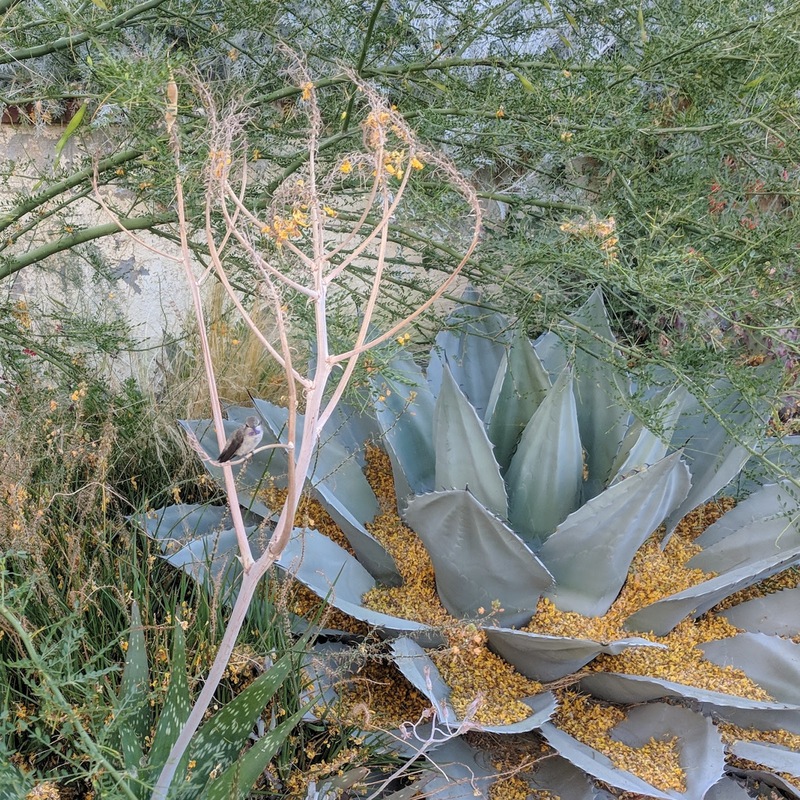 They do seem happy with the aloe blooms though. Wonderful you get to see that every year. And fortunate for the birds to have a safe place for a secure nest. What great photos! Not an instagrammer, so nice to see these. Hummers are nesting here somewhere, because we see unsteady fledglings feeding after they leave their hidden nests (their unsure flight is distinctive) and the adults are everywhere constantly. I also thought it was nice to see all the pictures in one spot - it really shows how quickly they change! 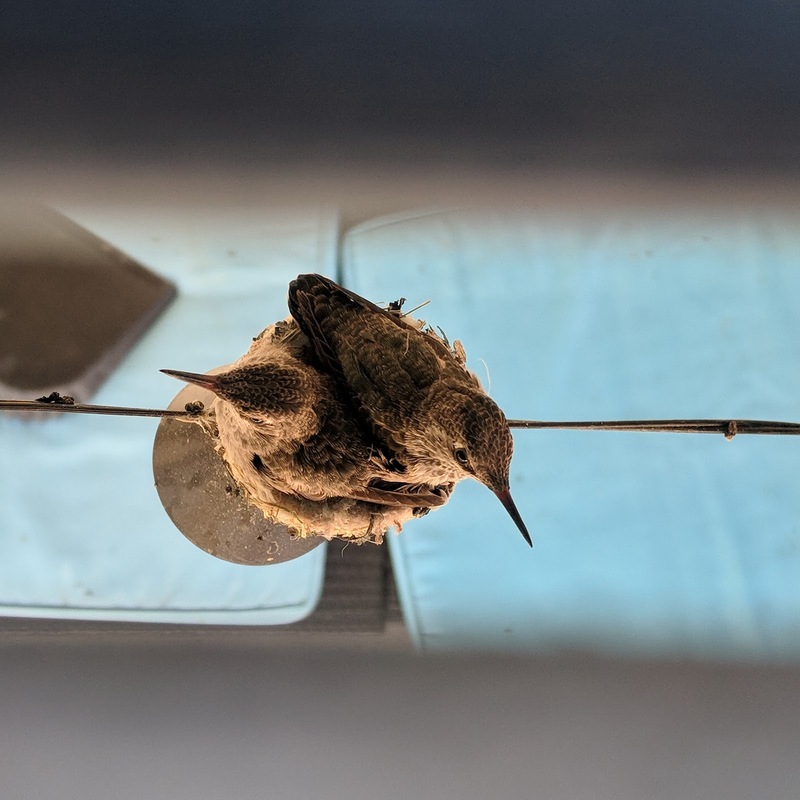 I'm still trying to teach my hummingbirds to get along. I think there are about 4 permanent residents, but they just chase each other away constantly. Such a privalege to be able to see this up close. Thanks for sharing this wonderful sequence of images. I know we have hummingbirds nesting somewhere around our place as I've seen the young being fed but have never found a nest. Nice of your birds to nest in such a great location. Thank you! Funny how many people have nests - your birds must be better at hiding than mine! 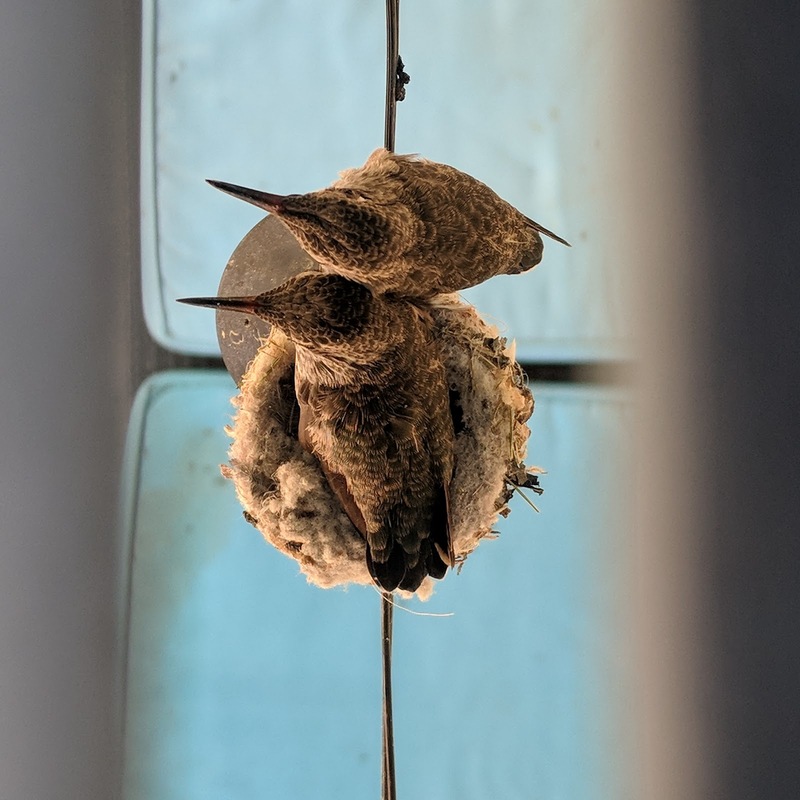 I have no idea why a spot 5 feet away from my patio door was selected as a good spot for a nest, but i am happy i get to see them regularly.